As early as January 1916, the Law Society began to compile a list of lawyers and law students who had enlisted to serve in the First World War. Legal Education Committee Chairman E. Douglas Armour sought a list of members on active service from the Adjutant-General of Canadian Militia, who sent the Law Society a 22-page list of names. Someone, possibly Secretary Edwin Bell, updated and annotated the list as new information surfaced, probably using newspaper casualty lists. New lists were drawn up periodically and they too were kept up-to-date with handwritten notations, one having red asterisks identifying the wounded. In November 1918 -- one week before the war ended -- the Ontario Bar Association produced and circulated a draft "Roll of Honour" and list of enlisted members, a copy of which the Law Society Secretary kept in his office. The proposal that a lasting record of the contributions of Law Society members to the war effort ought to be preserved permanently at Osgoode Hall was first raised at Convocation in September 1916. Several years later, in October 1922, Bencher Frederick Weir Harcourt raised the suggestion that a war memorial "to commemorate those members of the Society who have made the Supreme Sacrifice in the late war, be referred to a special committee" to be named by the Treasurer. Although Harcourt's motion carried, no committee was named until late 1924, by which time Harcourt himself was Treasurer. At its first meeting in November 1924, the committee recommended "that a Memorial be erected, either stained glass windows or a monument, the cost not to be more than $15,000." 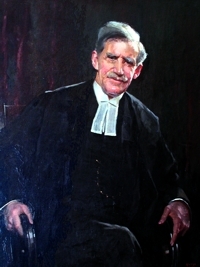 By then, B. Holford Ardagh was Secretary of the Law Society, having succeeded Edwin Bell in 1922. Formerly Captain of the Osgoode Hall Rifle Association and having served four years in the war himself, Major Ardagh worked hard to ensure that the war memorial became a reality. News of the commission reached the newspapers, prompting a firm of art bronze founders to write offering to submit a design. 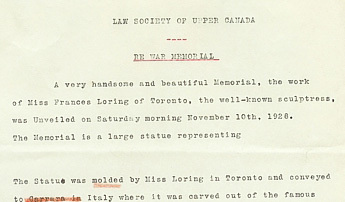 By February 1926 Toronto sculptor Frances Loring had been in touch with the benchers, presumably had visited the Great Library to look at the site, and had formulated her ideas about the memorial's structure. In a letter of tender, she wrote: "The figure to be sculpted in Italian marble not less than seven (7) feet high, to be in full round, isolated from the marble panel at the back, standing on a base of Bedford Stone about the same height as the wainscoating [sic] in the room." A few months later Convocation authorized the committee to enter into a contract with Frances Loring, who was to be paid $10,000 for her work. The contract was signed in September 1926, with an agreed completion date of January 1st 1928. Loring had less than a year and a half to complete the project. Preparations for the memorial's installation began around the time Loring and Ardagh signed the contract. Architect John Pearson discussed with Frances Loring the required structural changes. 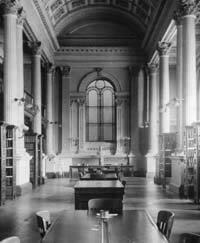 The east wall of the Main Reading Room of the Great Library, the site where the sculpture would be erected, was at that time an external wall. To accommodate the memorial, a large window would have to be removed and the opening bricked up. Plastering, painting, and changes to the woodwork would also have to be done to prepare the site for the installation of the sculpture and the pedestal on which it would stand. As the time to forward the names to be inscribed on the memorial tablet neared, efforts to finalize the list accelerated. Decisions had to be made about whether the list should be restricted to those who were killed on active service, or whether it should include the names of those who had died from natural causes or accidents while in military service. Ardagh and the committee decided on the latter option, including the name of a lawyer who had shot himself accidentally and that of another who died several years after the war following a productive career. 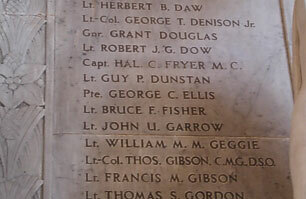 For an unknown reason, the name of a soldier who had been shot by his father was left off the list. 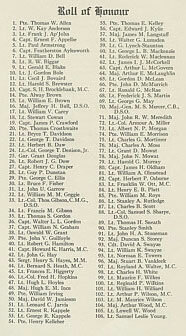 Secretary Ardagh published a notice in the Toronto newspapers inviting people to inspect the Honour Roll list in his office; fortunately, some papers printed the entire list of names, sparing Ardagh hordes of visitors. A number of people wrote letters or telephoned to provide new names. Ardagh verified the information with the Department of Militia and Defence in Ottawa. He gave the list to Frances Loring in late October 1927. Meanwhile, Frances Loring was busy working on the clay model of the memorial, which she estimated would be finished by mid-November 1927. She believed that the piece would be completed by the end of March 1928, which committee Chair McPherson thought "unduly long." After the committee met in late December 1927, McPherson reminded Loring that the contract required that the work be in place by the first of January. His letter appears to have been an attempt to pressure the sculptor: it expressed the committee's surprise "at the indefinite nature of the statement made by you to me in reference to the completion," and asked for her to state her intentions in writing immediately. "If any additional time you may desire is regarded as reasonable by the Committee," McPherson continued, "an extension may be made, but it must be definite and duly signed." If the committee did not think the extra time reasonable, "I anticipate the Committee will immediately take such steps as may be deemed necessary to assert the rights of the Law Society." 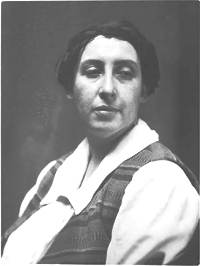 Loring replied that the committee should come to the studio after the middle of January to inspect and approve the clay model, after which she would execute the plaster cast. She suggested that "they come before four-thirty as the light is not good after that." Several members of the committee were stricken with colds in January and could not get to Loring's studio, causing additional delay. They finally managed to examine the clay model several times and suggested modifications. At its January meeting the committee decided that another contract with Frances Loring be executed extending the deadline to mid-September. Loring telephoned McPherson in late January to urge the committee to accept the plaster cast so that she could ship it on the steamer sailing a week later. The new contract, dated January 31st, 1928, absolved the Law Society of any responsibility for the delay and "Whereas the Sculptor…has failed or made default…she will complete [s]aid Work[s] on or before the fourteenth day of September, 1928." By mid-February the plaster cast was on its way to Italy to be executed in Carrara Marble. Loring followed a few months later to select the marble and to supervise the carving, which proceeded slowly1. While she was out of the country, architect John Pearson supervised the alterations to the Great Library's east wall and the erection of the pedestal. 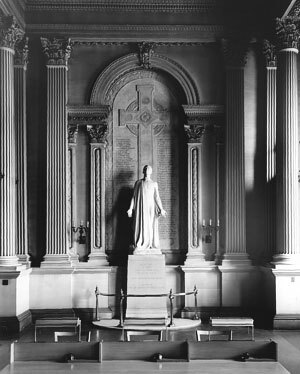 "Memorial Unveiled at Osgoode Hall"
By mid-October 1928 the memorial had been completed and erected in the Great Library. The unveiling was scheduled for Saturday 10th November at 11 a.m. In addition to judges and members of the legal profession, the families of those whose names were commemorated on the memorial were invited. Plans for the unveiling began rather late. 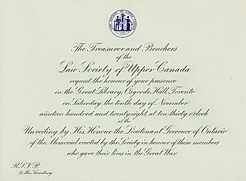 The Secretary tried to engage the Governor General to perform the ceremony but he was asked less than a month before the unveiling was to take place and was otherwise engaged. On October 22nd, Ardagh invited the Lieutenant Governor to perform the ceremony and two days later, he received the good news that he would. Ardagh then telegraphed Treasurer Wallace Nesbitt, who had succeeded Harcourt in 1927, in London England, "War Memorial unveiled tenth November. Do you expect here that date." The next day, Ardagh received the reply, "Sorry not sailing until fourteenth." Preparations for the unveiling carried on. Ardagh engaged the services of Trumpeter W.C. Hutchings of the Royal Canadian Dragoons to blow the Last Post and Long Reveille. The blueprints and seating plan were examined, chaplains were invited, invitations sent, photographs reproduced and framed, the program printed and a press release drafted. The press release began "A very handsome and beautiful Memorial, the work of Miss Frances Loring of Toronto, the well-known sculptress, was Unveiled on Saturday morning November 10th, 1928. The Memorial is a large statue representing…" The description of the statue is left blank, suggesting that whoever drafted the press release had no idea what the statue was meant to represent. Loring biographers describe the statue as "a symbolic figure of a youth who had shed the robes of everyday life to offer himself to the cause of humanity. "2 At the base of the memorial is carved part of a line from Rupert Brooke's "War Sonnets": "These laid the world away." The unveiling took place as scheduled on November 10th with a large group that included several dignitaries in attendance. Frances Loring was not among them.3 Several chaplains and the organist and choir of St. James Cathedral led those present in the prayers and hymns. Lawyer and politician G.R. Geary read the Honour Roll, the first occasion of what has become an annual tradition at the Law Society. Ontario Chief Justice William Mulock delivered an address. Family members of the deceased took away copies of a photograph of the memorial. After the service all the flowers were sent to a hospital on Christie Street. After the unveiling, Ardagh sent a framed copy of the photograph of the memorial to each County Law Association. That the First World War touched every Ontario community is shown by the letter from lawyer R.I. Moore, who wrote to say that he was pleased to place the photo in the Lindsay Law Association's library: "The Swayze boys were sons of the local Judge. Captain Edward Kylie was also one of Lindsay's brilliant sons. In looking over it I also see the name of Colonel Fred H. Hopkins, whose father, Judge Hopkins, of Cayuga, practised in Lindsay for many years. I also see the name of Walter G. Lumsden, who was killed on the Somme. I did not know he had been at Osgoode Hall... I was with him when he was killed." Following the unveiling, people surfaced to bring new names to Ardagh's attention. 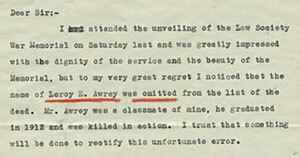 Archibald Cochrane of Cobourg, whoattended the ceremony, regretted that the name of Leroy E. Awrey was omitted. Ardagh continued to try to track down information about new names and to find the next of kin of several of those whose names appeared on the memorial so that they might be sent the photograph. In late October 1929, Ardagh sent Frances Loring a list of eight additional names to be engraved at the bottom of the list already inscribed on the memorial. Even after Ardagh issued those instructions, new information came to light. In November 1929, Ardagh wrote to Frances Loring to let her know that "in some extraordinary way the name of Capt. Henry C. Draper was engraved on the Memorial (No. 27) as being among the deceased whereas as a matter of fact I had an interesting conversation yesterday afternoon with the said gentleman who was very much alive." His name was replaced on the memorial with the name "Capt. Hal C. Fryer, M.C." Traces of that change can still be seen on the left side of the list of names on the memorial. The World War One memorial remains an impressive fixture in the Great Library at Osgoode Hall, and provides the focus for the Law Society's Remembrance Day service every second year. In alternate years the service takes place in front of the Second World War memorial in the Rotunda. Each year benchers read the Honour Roll at the Remembrance Day service as the Law Society continues to honour the memory of its members who fell in the First World War. 1 Rebecca Sisler, The Girls (Toronto: Clarke Irwin, 1972), 42; C. Boyanoski, Loring and Wyle: Sculptor's Legacy (Toronto: Art Gallery of Ontario, 1987), 35. 2 Sisler, The Girls, 36; Boyanoski, Loring and Wyle, 35. 3 Boyanoski, Loring and Wyle, 35.